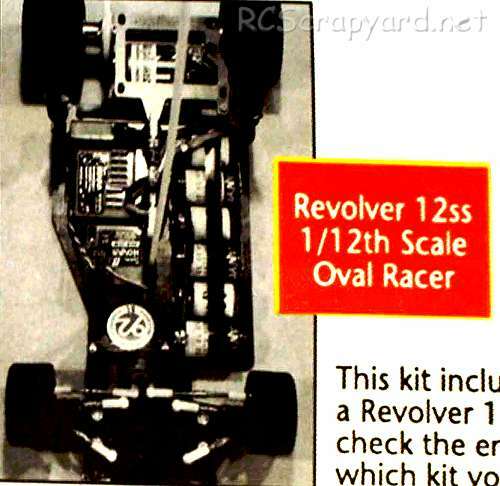 Trinity Revolver 12ss • (Radio Controlled Model Archive) • RCScrapyard. 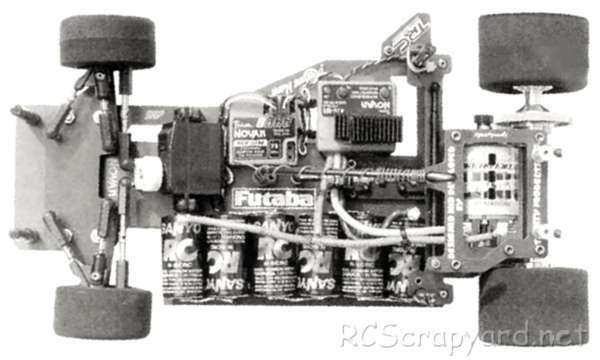 Introduced by Team Trinity circa 1993, the 2WD Revolver 12ss Super Speedway car - # RE0002 - was based on a carbon graphite pan chassis, direct drive, with a ball differential, front coil spring over kingpin reactive caster suspension (RCS), rear pivot ball mounted T-bar, with delta shock + lateral damper tube and a full set of ball bearings. To race the Trinity Revolver 12ss, it requires a high level of tuning for improved stability when cornering, to keep it on the track and give you more grip under acceleration. Even the smallest change in your cars settings can make a Big difference. Our simple to follow instruction chart will show how to attain the best Set-up for your personal requirements. Consider a 180 degree turn. Enter the corner at speed, start the turn a little sooner than you might, then just before the apex, touch the breaks for a split second, enough to break the rear of the car free as you enter to turn (For beginners, try setting your transmitter to provide a small amount of breaking when you simply release the throttle. i.e., Neutral Breaking). When the car begins to slide sideways, steer into the slide, increase the throttle, just enough to balance the car as it drifts around the turn. Coming out of the corner, steer the car straight and apply more throttle to pull you out of the slide, propelling the car forwards. A little "body-roll" is the thing to aim for when setting up a drifting car, but be careful. With too much body-roll, the car will be difficult to control and tumble sideways off the track. 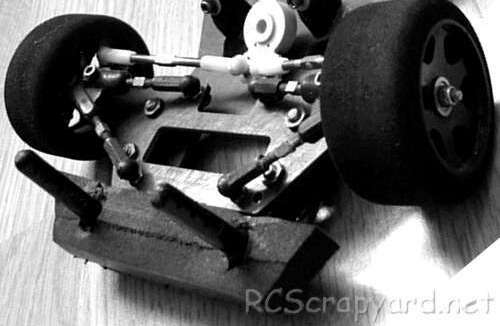 Too little and the weight transfer to the leading wheels will not be enough to induce the slide. The "Hints and Tips" page linked below will help guide you to the best drifting setup for your car, but try to be patient, a lot of trial and error, with tuning springs, damper oil, damper pistons, stabilisers, tires and inserts is required to get your car as you want it, but believe me, when you do get it right, it will be well worth all your effort.